We clean so your home GLEAMS! >Please see the 'Ironing' tab for all information on the ironing services we offer. We give holiday lets the deep clean they deserve, including taking laundry away to wash, dry, iron & re-make beds ready for holiday makers to enjoy a luxurious stay. We can do a sparkling job on your oven, at a very good price! At an amazing price of £45 for a single oven, or £55 for a double, we can make it brand new again. Let your oven shine today! Regular, Weekly, Fortnightly or one off cleans. We have the cleaning package to suit your needs. End of Tenancy cleans are using our equipment and the pricing for these varies. 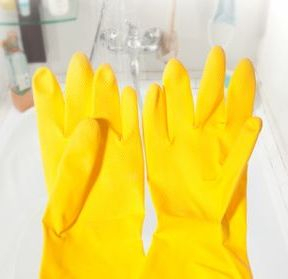 This includes an extreme deep and thorough clean in every room to give you the best chance of securing you deposit back. These cleans are primarily used when moving out of a property. A house visit is required to give you an accurate price rate and to estimate the amount of time it will take. We offer a commercial cleaning service which includes places like pubs, B&B's, Holiday lets, Factories etc. This cleaning service pricing is from £13.00 per hour using our products and equipment. Commercial cleaning is usually for businesses, or corporations to carry out cleaning jobs in a variety of premises. This includes a thorough clean of the carpets and leaves them looking, feeling and smelling brand new. We can clean carpets in your home, Caravan or even your motor home and office. Please ring for a more information. We can tailor make a package to suit your needs and budget. All durations of cleans will vary and we will advise you on how many hours we believe will be suitable for you. See our price list tab for accurate rates on each type of clean or ironing. Please call to discuss your individual requirement's as we can tailor a package to meet your needs.